Packing is a tedious job! Writing and labeling every box is something you will have to do over and over again. 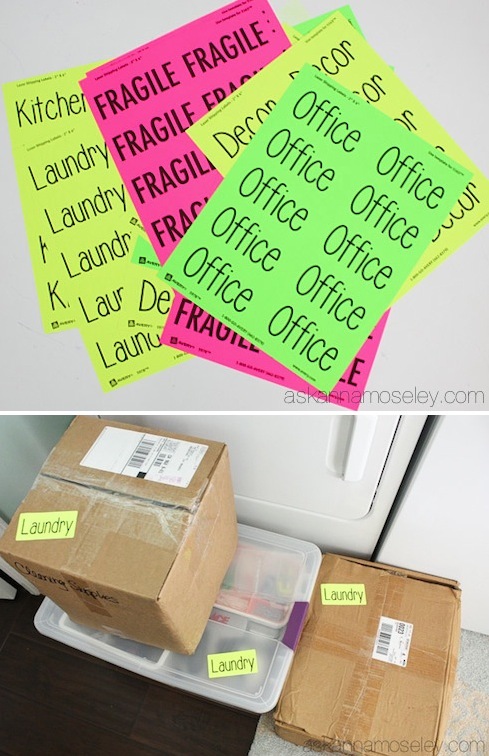 Plan ahead and print out brightly colored labels. Now you can just slap it on to identify each box. It will also be much easier to pinpoint a box — you can see it from across the room! 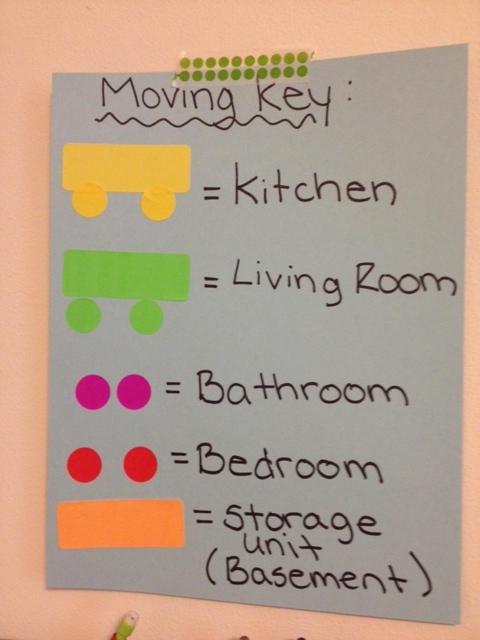 Instead of labeling every box, use a moving key! 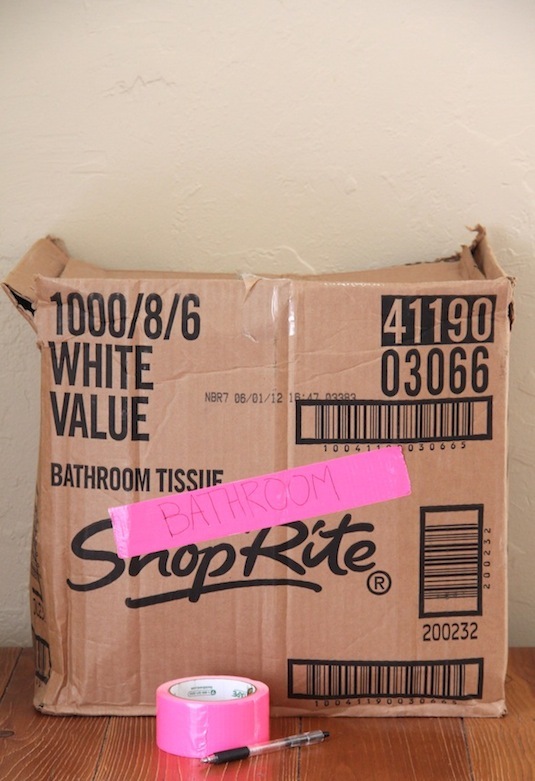 This way you can just slap on a colored sticker or label without having to write on every box. Or, for instance, you can write the contents on each label, but easily be able to identify the room the box goes to by its color. 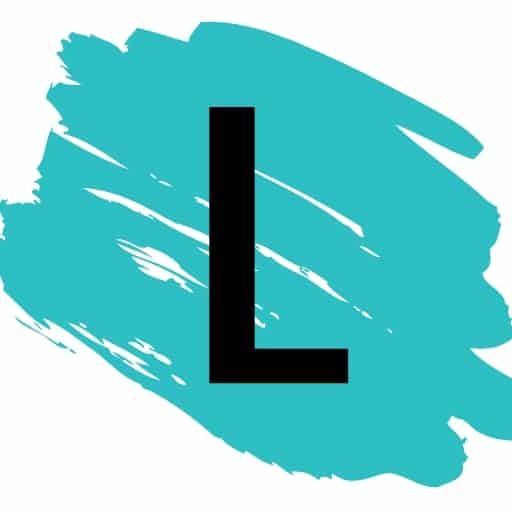 While we are on the subject of color coding, duct tape these days comes in just about every color and pattern (Minions, hotdogs and rainbows… seriously). Invest in a few rolls and use them to identify your rooms or contents.